Hello, and welcome to a look at our week in photos! To start off, we join the 52 Snapshots of Life Photo Challenge each week. 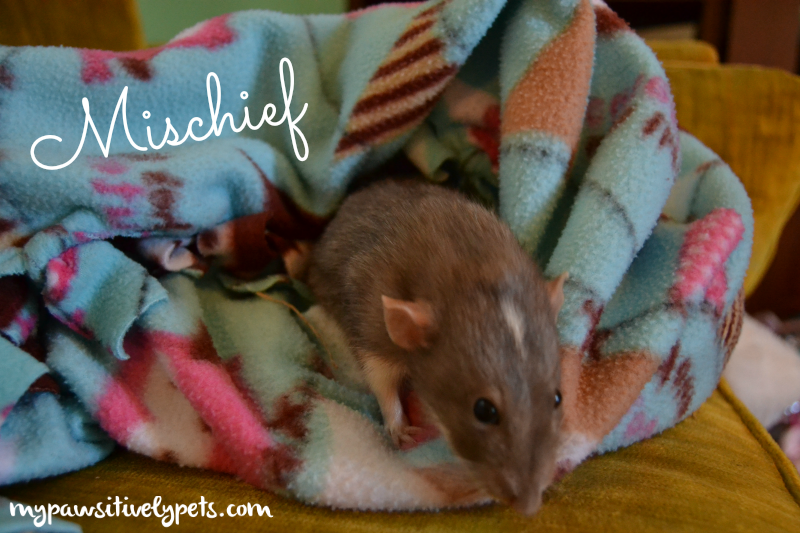 And this week's theme is Mischief. I have a lot of Mischief over here in these parts, but I thought one of my rats would probably be the perfect poster child for this week's theme. Last week was the first week of March, and usually that means pretty decent weather for us here in Texas. Well, all I can say is that this weather has been pretty crappy. It's been very cold - 30s and 40s - and very rainy for over a week. Thankfully, the sun has poked it's head out a little bit for the past few days. 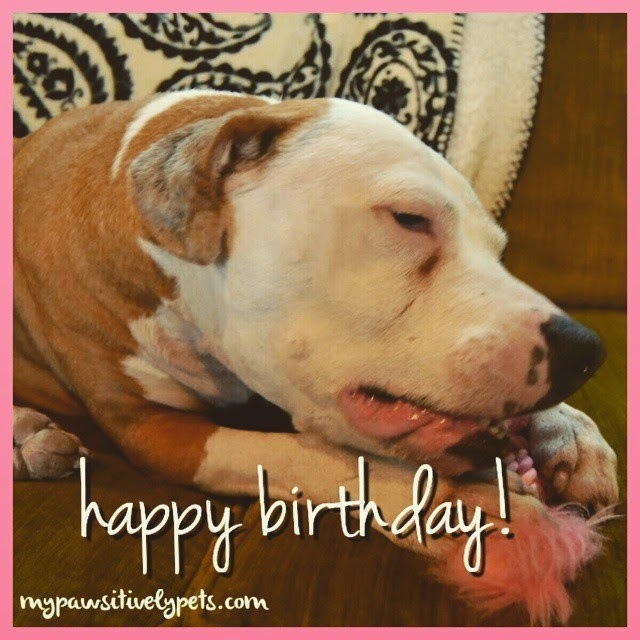 Shiner celebrated her 12th birthday this week on March 3rd. Thank you all for all of the birthday wishes! She hopes to have many more birthdays still. I was able to get a photo of Callie and Shiner together. 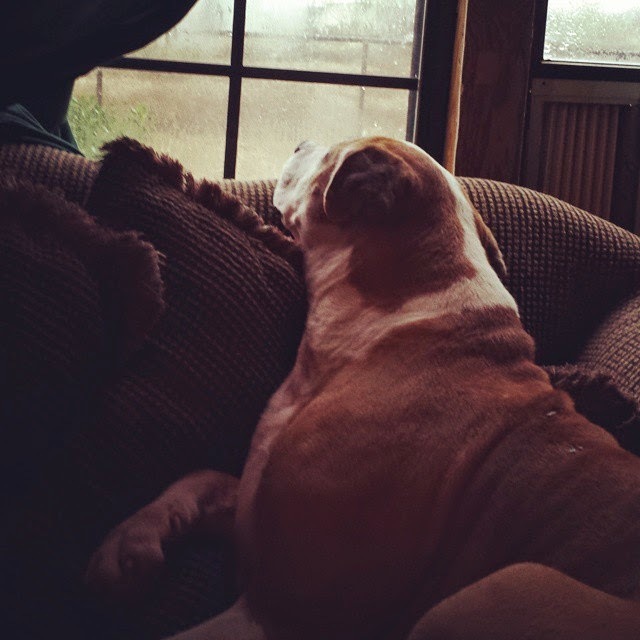 Shiner had one day where she did very well around Callie and allowed her to sit on the couch without bothering her. 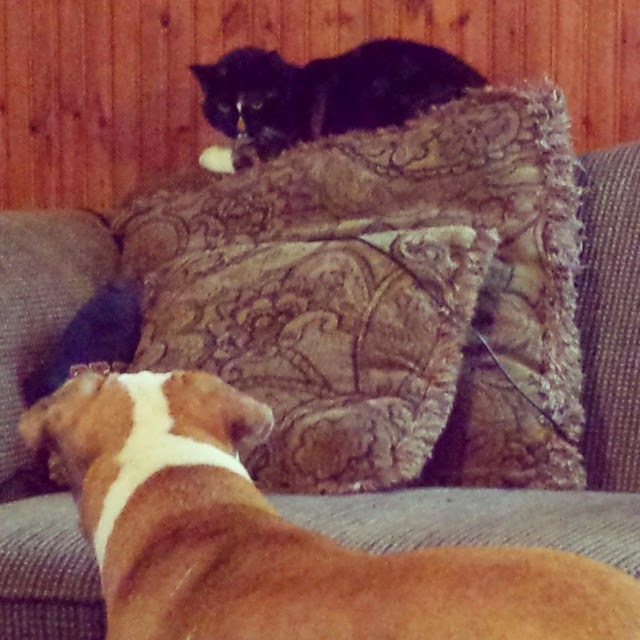 Callie really is a funny cat... simply put, she doesn't put up with any crap from the dog. 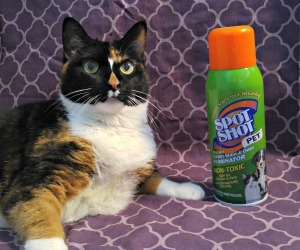 Callie continues to be a super friendly cat that loves attention, playing, and catnip. Here she is playing a game of Disney Twister after I sprinkled a bit of catnip on the mat. She's got some really great moves! It's been a very exciting week for us over here. 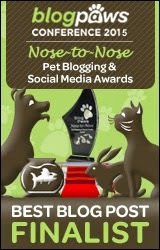 Especially after learning about being a Finalist in the BlogPaws Nose-to-Nose Awards, which I couldn't be more thrilled about. Now, the only thing that will make me even happier is getting to attend the award ceremony personally! I am not sure about that yet, but would like to try and be there. That's about it for us this week. What have you been up to? All in all I'd say the week was lots of fun, and the pictures certainly were! How exciting and well done making it to the finals. Have a serene and easy Sunday. Very exciting that you got to be a finalist! We had a lot of mischief, and still some really cold days, but it looks like winter may be about to improve. Wishing you another great week. What a week! We hope the sun shines more for you. And that you get to go to BlogPaws. The mom will be going. That was quite some week you all had! Congrats again on your selection as a finalist. We sure hope you get to go to BlogPaws; we hope to go, too. Oh I hope you can make it BlogPaws, Ann, I'll be going and would love to meet you. It's good to see Callie settling in well! It sounds like our weather is finally getting better, and yours has gotten worse! Concats on the Nose To Nose finalist thing. I’m sure rats get into lots of mischief. 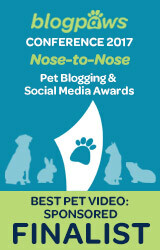 CongRATs on being a finalist in the Blog Paws Nose-to-Nose Awards! I can't believe Shiner is 12 years old. She looks at least half that age. 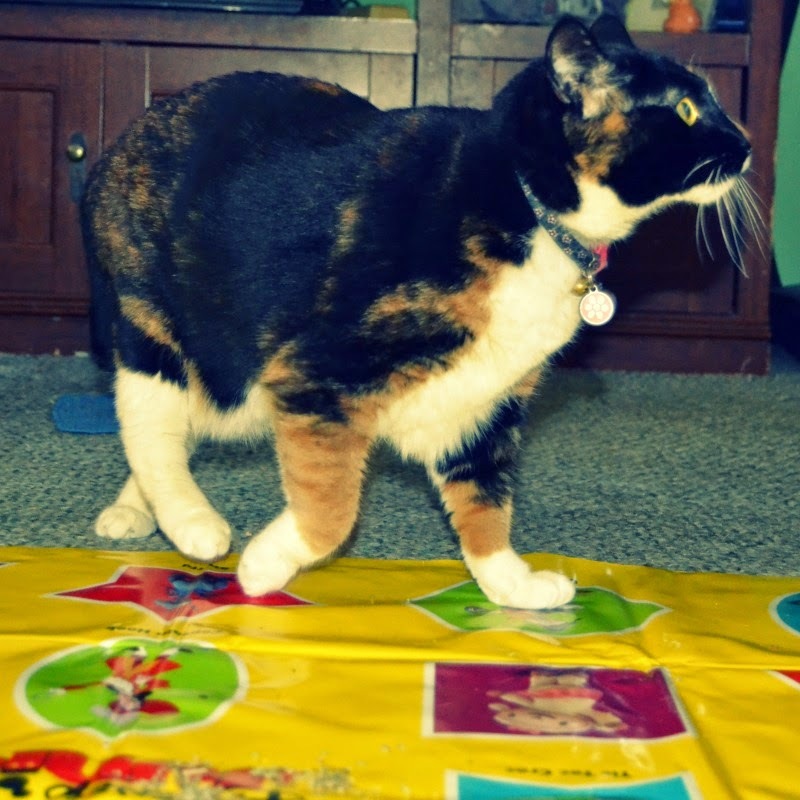 Callie is such a cutie...and how cool she plays Disney Twister with catnip, no less! Gus is as adorable as ever. Nice family!